U.S. copyright law does not allow lawsuits claiming that animals have copyrights to photographs, the court ruled. 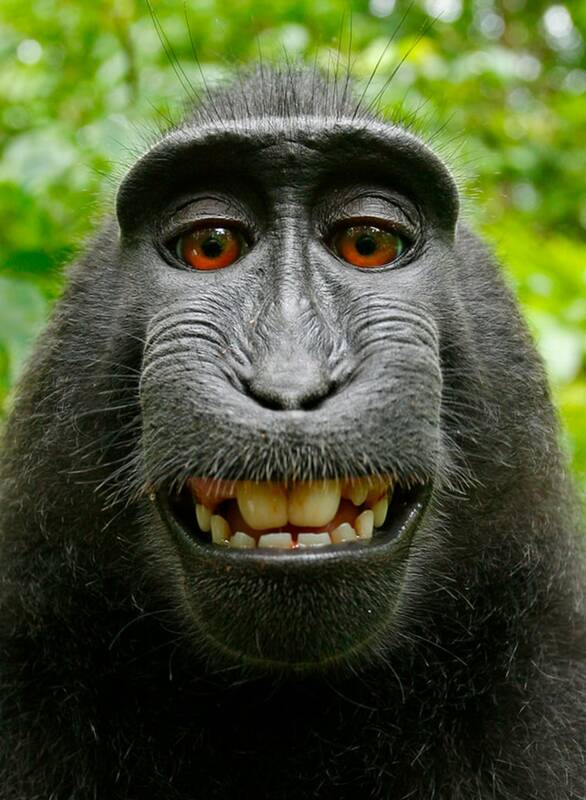 SAN FRANCISCO — U.S. copyright law does not allow lawsuits claiming that animals have copyrights to photographs, a U.S. appeals court ruled Monday in a case over selfies taken by a monkey. The decision by the 9th U.S. Circuit Court of Appeals in San Francisco upheld a lower-court ruling in favor of David Slater, the photographer whose camera was used to take the photos.The appeals court said U.S. copyright law confers the right to sue on humans. U.S. District Judge William Orrick said in a ruling in 2016, "While Congress and the president can extend the protection of law to animals as well as humans, there is no indication that they did so in the Copyright Act."